Update from Kent Fire Authority: A 64-year-old woman was charged yesterday with 1st degree Arson in King County Court. 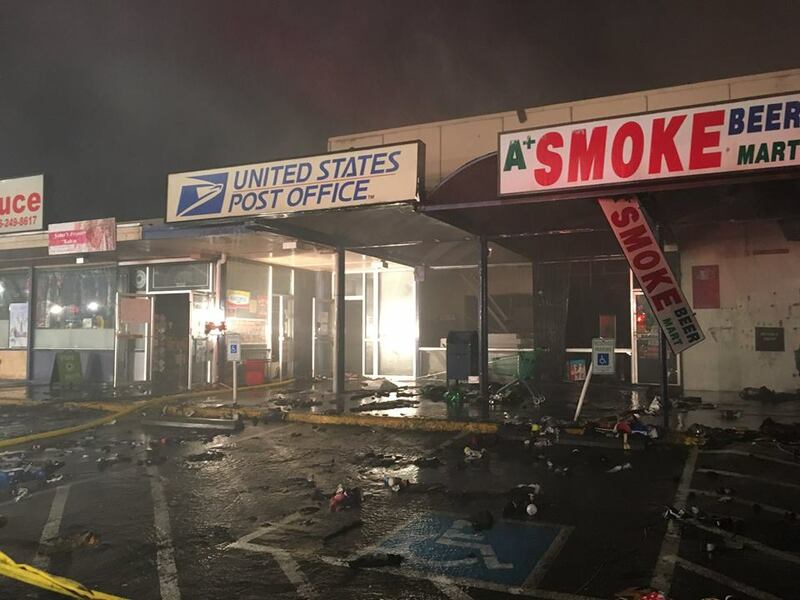 The charge is related to Sunday’s strip mall fire in the 23200 block of Pacific Hy. S. last Sunday that destroyed or damaged several businesses. The fire started in a Dollar Tree store where she was a customer.